Luxury apartments right on the coast of beautiful Tasmania. Welcome to your home away from home. 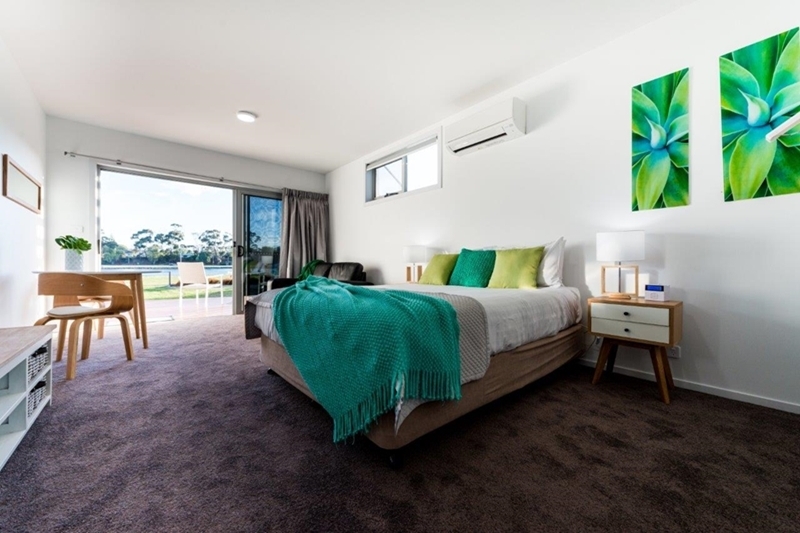 Apartment 1 is a spacious Studio Apartment on the ground floor, kitchenette, smart TV, heater/aircon, access to laundry facilities and a private deck overlooking the river. First Floor 1 Bedroom Studio Apartment (Queen and Double Beds), 1 bathroom, kitchenette with dishwasher, private balcony with bbq overlooking Leven River and Tobruk Park. Smart TV's with free WiFi and Netflix included. Ground Floor 2 bedroom, 2 bath apartment, large lounge with sofa bed and full kitchen with dishwasher, private deck with bbq overlooking Leven River and Tobruk Park. Smart TV's with free WiFi and Netflix. 1st Floor 1 Bedroom Studio Apartment, King Bed under a Moon Roof, bathroom with bath and shower, kitchenette, private balcony with bbq overlooking Leven River and Tobruk Park. Smart TV with free WiFI and Netflix. Ground Floor 2 bedroom (Queen and 2 king singles), 2 bathroom apartment, full kitchen with dishwasher, private deck with bbq overlooking Leven River and Tobruk Park. Smart TV's with free WiFi and Netflix.